After unit tests and wired tests system tests are another test type. In this blog post we – i.e. 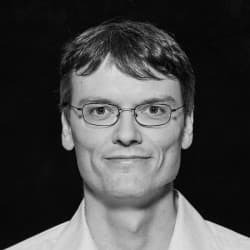 Thomas Strecker and I – take a look at two test types which test the complete or almost complete application: tests which target the WebUI and tests which target the REST-API. Atlassian provides a number of tools in order to develop end-to-end tests for their products. Foremost among them are the TestKit, which enables the creation of a “backdoor” to perform administrative tasks and test data setup, and page objects for every application. While TestKit is not mandatory, its use is recommended, even if only to reset the test instance to a defined state. Another tool for developing end-to-end tests is FuncTest. The main difference between TestKit and FuncTest lies in TestKit using REST-calls to perform administrative tasks, while FuncTest uses Selenium. The final setup activity consists of activating the TestKit Plugin inside the Jira instance. This can be done by setting a property in the POM or by adding it as a plugin artifact to the JIRA build plugin’s configuration. The JIRA page objects artifact provides several means to effectively implement UI tests. First of all it provides an abstract super class (AbstractJiraPage) for page objects. This class provides a skeleton for page objects. When extending this class, the methods getUrl() and isAt() must be implemented: getUrl() provides the URL to navigate to in order to open the page this object represents, while isAt() checks, whether the page is properly loaded (e.g. checking a given element is visible). In addition, the class provides an instance of a PageBinder, which is a facility to bind the currently loaded page to a given page object, including wiring the page elements. A test class for testing the UI must be placed inside a package starting with it. *, since it is an integration test and requires a running JIRA instance. The system property “baseurl” is set if the test is executed during the integration-test phase of Maven. It is not set, however, if the test is started from the IDE. Therefore, in such a case a fallback like “http://localhost:2990/jira” should be used. A preemptive authentication scheme should be used since JIRA does not send the HTTP status code of 401 (Unauthorized) but 200 (Ok) when authentication is required. This behavior is the reason why the automatic retry with authentication (as usually done by the HTTP client) does not work. In the next post we will take a look at the special things needed to run the tests on the CI server.